All work is written and operated by 'The Creative Psycho' unless stated otherwise. The content is based off of my personal opinions, views and stories. I am not responsible for your feelings or if you get offended. In other words, I will not be your shoulder to cry on. You have entered 'The Writers Asylum' (http://www.thecreativepsycho.com) at your sole discretion. If you have any questions or concerns about what is being written, please feel free to contact me. The images are understood to be Royalty Free and are given proper credit to whomever they are obtained from. Images that do not provide credit are taken by, 'The Creative Psycho'. http://www.thecreativepsycho.com does not represent or endorse the accuracy or reliability of any information's, content or advertisements contained on, distributed through, or linked, downloaded or accessed from any of the services contained on this website, nor the quality of any products, information's or any other material displayed, purchased, or obtained by you as a result of an advertisement or any other information's or offer in or in connection with the services herein. You hereby acknowledge that any reliance upon any materials shall be at your sole risk. 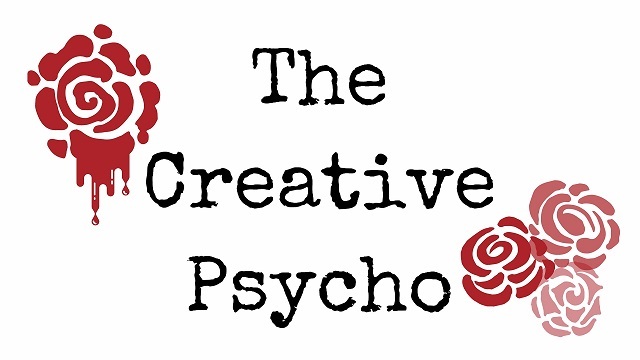 http://www.thecreativepsycho.com reserves the right, in it's sole discreation and without any obligation, to make improvements to, or correct any error or omissions in any portion of the service or the materials. You are free to share, copy, distribute, or transmit any of 'The Creative Psycho' content. However, you must provide proper attribution or credit (linking back to http://www.thecreativepsycho.com). In order to complete your subscription you must verify it. You will receive an e-mail with a link after you have entered your information. NOTE: You will not receive any updates if you haven't completed your subscription. Thank you! *This may fall in to your SPAM folder.